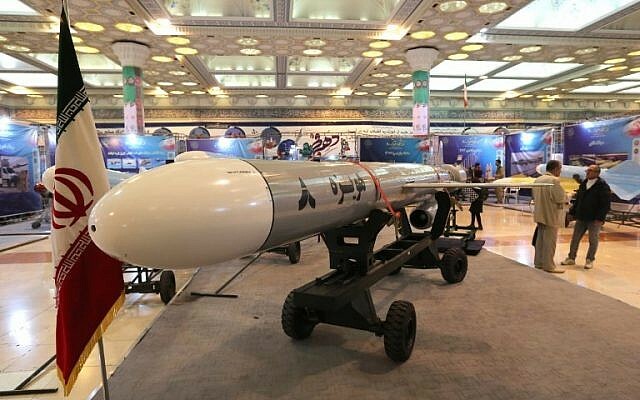 (SOURCE) Iran on Saturday unveiled a new cruise missile amid events marking 40 years since the 1979 Islamic Revolution. The missile, dubbed Hoveyzeh, was described as a high-precision weapon capable of flying at low altitudes and able to carry a significant payload. Iran’s Press TV reported it has a range of 1,350 kilometers (840 miles). “The Hoveyzeh missile is the symbol of self-belief and an important defense achievement based on today’s technological progress in the world,” Iranian Defense Minister Amir Hatami said in Tehran. Iran has been known to exaggerate the capabilities of its weaponry, and there was no independent confirmation of Tehran’s claims. The Ministry of Defense published a video purportedly showing the launch of the new cruise missile. Iran’s ballistic missiles program (cruise missiles are in a different category) has been met with mounting concern in the West. US Secretary of State Mike Pompeo recently accused Iran of testing a medium-range ballistic missile capable of “carrying multiple warheads,” which he said could strike “anywhere” in the Middle East and even parts of Europe. The program was among the reasons cited by US President Donald Trump for leaving the 2015 nuclear deal last year and reimposing crippling sanctions. The deputy commander of the Islamic Revolutionary Guard Corps said Thursday his country has developed a “strategic capacity” to destroy Israel. 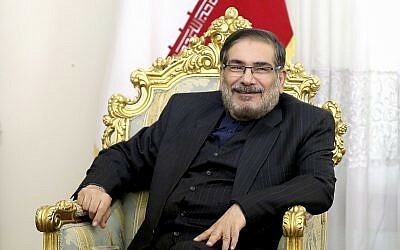 On Tuesday, Ali Shamkhani, the secretary of Iran’s National Security Council, warned that terror groups Hamas and Hezbollah were prepared to unleash an “inferno” on the Jewish State. The comments followed a series of reciprocal taunts by Israeli and Iranian leaders in recent weeks amid rising tensions on the Israeli-Syrian border between IDF and Iranian forces. On Wednesday Iran announced that it is producing large amounts of yellowcake, a precursor to enriched uranium, and has shipped two batches of the material to a uranium conversion facility. Ali Akbar Salehi, head of the Atomic Energy Organization of Iran, said the Islamic Republic was ready to increase its production of yellowcake to 300 tons per year over the next five to six years, and had shipped 30 tons of yellowcake from the Shahid Rezaeinzhad Industrial Complex in the central province of Yazd to a conversion facility in Isfahan province, according to Iranian media reports. Salehi said that the new facility was at full capacity, that Iran was extracting uranium from a mine in Yazd province and other still-unidentified mines, and had discovered large amounts of the material in the country through aerial surveys. Yellowcake is a uranium concentrate in powder form and an early step in uranium processing. It is produced by mining uranium ore from rocks and separating the uranium from the rocks by bathing them in acid. The yellowcake can then be converted, enriched to raise its purity, and then used for weapons or energy production. This entry was posted in Country, Disaster / Emergency, Government, Iran, Islam, Middle East, Violence - Evil, World and tagged Iran increasing military buildup in the end times, Iran's new cruise missle by Gordon King. Bookmark the permalink. The world is turned upside down, good is bad and bad is good just as the prophet Isaiah told us. Nothing in this world makes any sense anymore. The only way for us to keep our sanity is to stay firmly grounded in God’s word, its the only way! And I eagerly await the coming of our King, the rapture of the church!